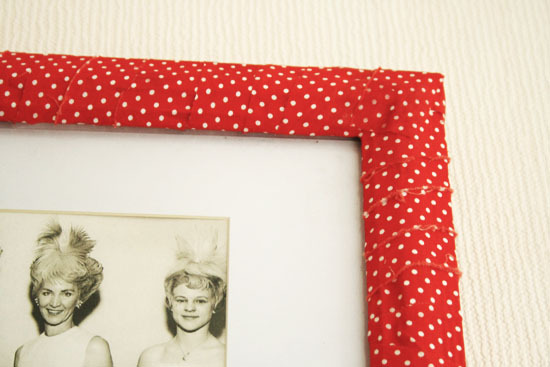 Learn how to make fabric covered picture frames after the jump. 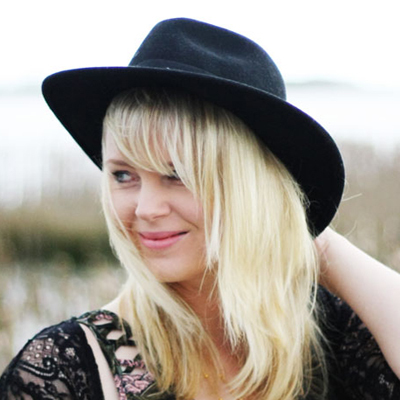 . .
First you need to cut strips from your fabric. You could use some left over fabric if you want. Remove the glass picture frame so you are left whit the frame only. 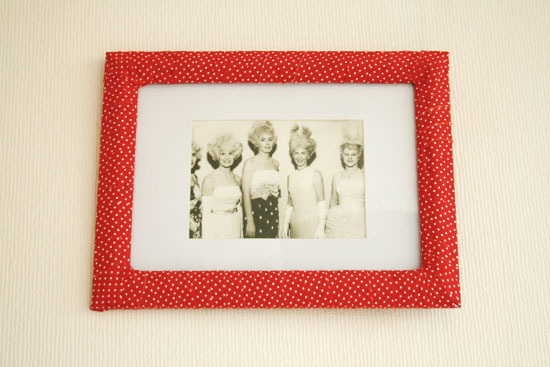 Brush some Mod Podge on the back and the front of your picture frame and start wrapping the fabric around the frame. You can fold the fabric over in corners and glue down with the Mod Podge, or use scissors to cut the fabric in the right shape and glue down. Put the glass back in the frame before the Mod Podge dries completely. When the Mod Podge is dry you can use your frame in the normal way!